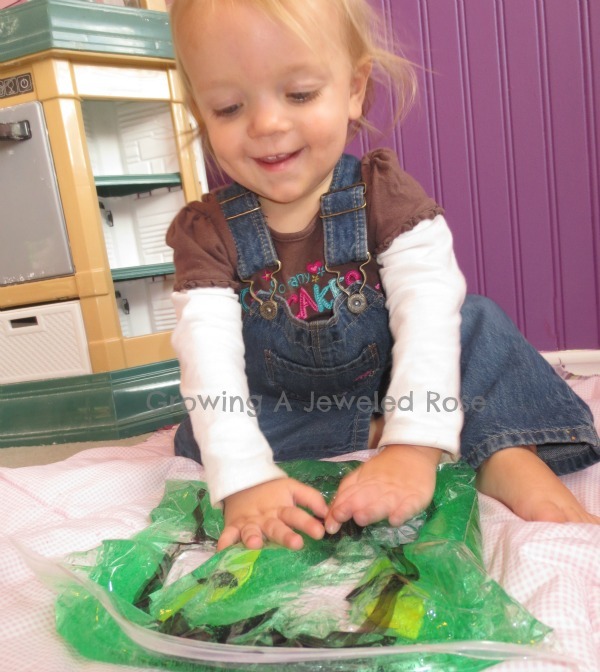 Rosie and Jewel have been having so much fun with this Grinch sensory bag. It is easy to make and, my favorite part, no mess! 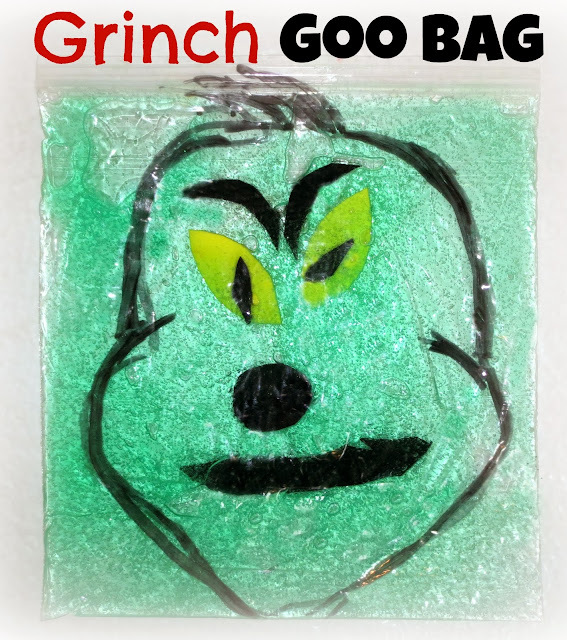 Draw a face outline of the Grinch on the zip-lock bag using the permanent marker. If you have bags at home with writing on them, you can use nail polish remover to remove the label prior to drawing on the bag. It is a fairly simple outline- we just looked at a picture of the Grinch while drawing. We first tried making this bag without the face outline but it didn't look very much like the Grinch. Fill the bag with one bottle of clear hair gel. 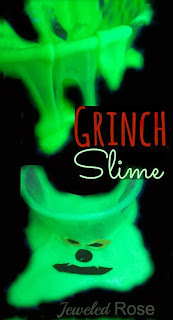 Add a few drops of green food coloring and mix well. 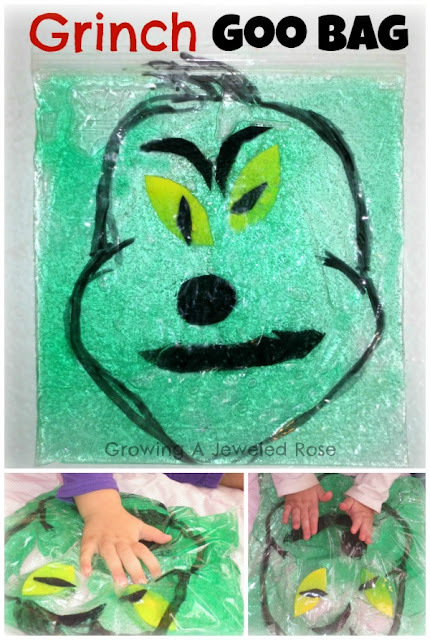 Cut Grinch face shapes out of craft foam and place them in the bag. 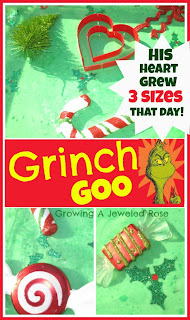 We used the ones from our DIY Grinch Stickers- full instructional details can be found here. Then just seal the bag and secure the end with packaging tape. 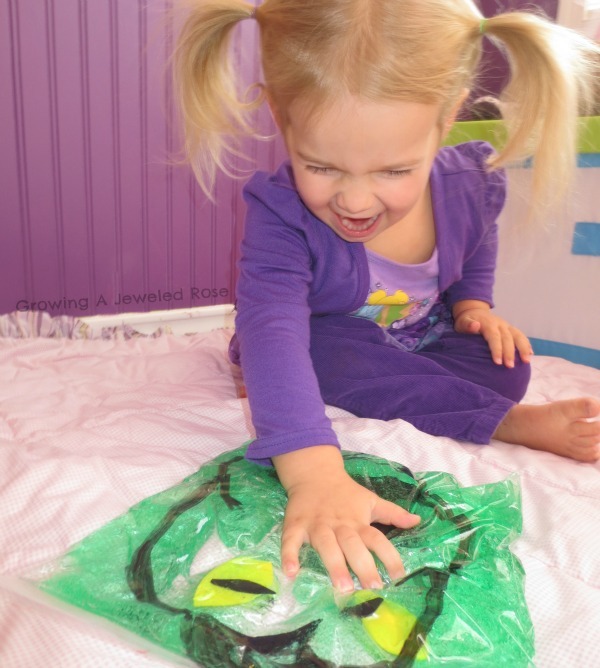 This Grinch Sensory Bag is quite fun! 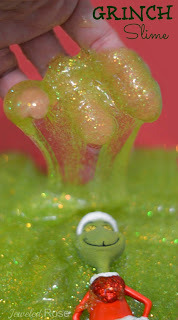 It is delightfully squishy and only costs a few dollars to put together, making it a fun and frugal DIY toy! 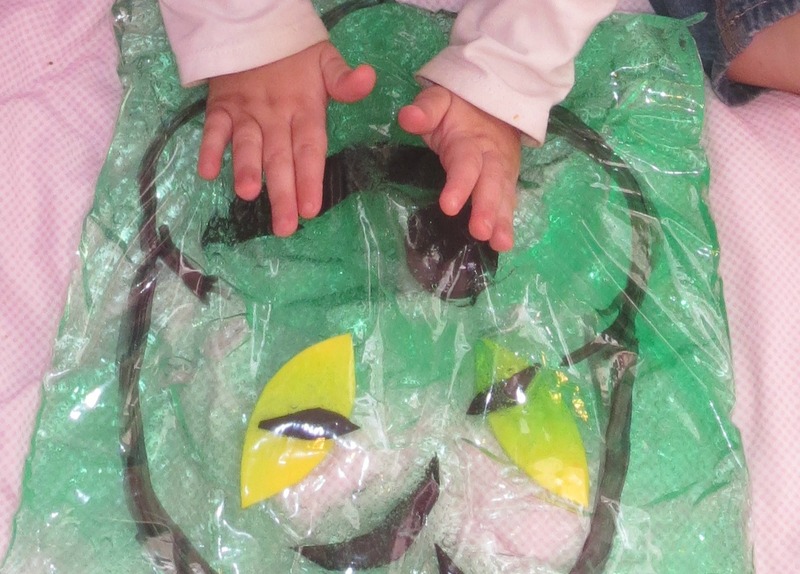 Note- We pull our sensory bags out when we are present to loosely observe play. We have never had one rip or burst but, if the girls begin getting rough, we put them away for another day. 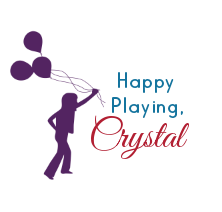 Sensory bags are not a toy I recommend leaving out constantly with smaller children as they could burst if stepped on or tossed around. Besides that, storing them when not in use helps keep children engaged. We LOVE sensory bags!